Peugeot has released two new Special Editions in time for the all-important ’66-plate’ September market and are available to order now. The 208 ‘Active Design’ and 208 ‘Allure Premium’ both offer excellent levels of specification and value, with additional customer savings on offer making the Peugeot 208 the perfect choice. Both Special Editions benefit from the customer saving of £1,200 plus, if the customer chooses to finance with Peugeot Passport or Just Add Fuel they will benefit from an additional £1,040 Dealer and Manufacturer deposit contribution during the period. A highly competitive 4.9% APR is available on Peugeot Passport across all 108, 208 and new 2008 SUV models during August and September and, a customer placing a £750 deposit on a Peugeot 208 PureTech 82hp 5dr will see monthly payments starting from £211 for an Active version and £235 for an Allure. Customers choosing Peugeot’s all-encompassing, 3-year, Just Add Fuel package, placing the same £750 deposit will see payments start from £241 for an Active version and £265 for an Allure. The ‘Just Add Fuel Telematics’ finance package is also available for those from just 18 years of age. 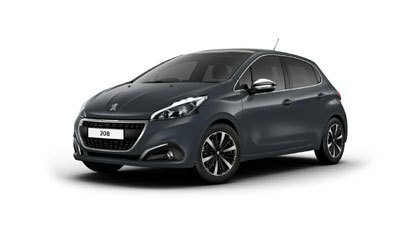 Terms & Conditions apply visit peugeot.co.uk for more details.